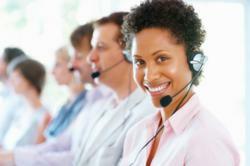 MAU Workforce Solutions is hiring 100 Customer Service Representatives! Please join us on Tuesday, March 20th at the Doubletree Hotel in Augusta, GA from 9AM-3PM. MAU Workforce Solutions, a staffing and recruiting firm based in Augusta, GA is hosting a Job Fair on Tuesday, March 20th from 9:00am-3:00pm at the Doubletree Hotel in Augusta, GA to fill 100 Customer Service Representative Positions. Work Hours are from 2:30pm-11:00pm Monday-Friday, with competitive pay and benefits available. Applicants are encouraged to bring a resume to the job fair, and must submit to a background check and drug screen. The Doubletree Hotel is located at 2651 Perimeter Parkway in Augusta, GA 30909.